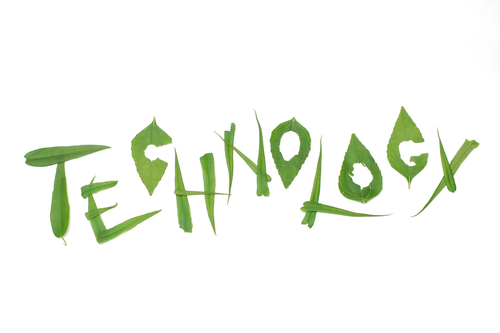 Green technology is a vast field with rapid growth potential. This is due in part to the technological research and is currently occurring on with biofuels, energy, power, and in various forms of transportation research. These forms of research are not only seeing an increased in consumer concerns but also increase due to environmental concerns. The following are a few areas of green technology seeing a massive growth in the past few years and are seeing more government backing with loans, grants and specialty educational programs to enhance those businesses within green technology. The fastest-growing technology within green living and green consumerism is biofuel technological research. Biofuel has been used for years by people on the fringe of what is known as the grid. Biofuel can be made from various resources including sustainable resources such as corn. This type of fuel could vastly reduce the cost of production for several businesses, decreased pollution in the air and all for various technological advancements for companies that produce transportation and transportation related consumer products. A biofuel option is currently being studied for hybrid cars. There are several biofuel research options in technology that are advancing daily. Energy and power technology is also a fast-growing technology research area in green living. There are several options to energy and power that are being taken on by ecological friendly real estate co-ops, businesses and by consumers who want to create a more energy and ecological efficient home life. These forms of technology can be seen in geothermal heating and cooling, HVAC companies who utilize services such as tankless heating systems, and by solar power installation and home insulation services. There are advances being made daily in aspects such as home insulation, energy reduction options and alternative power resources that could completely avoid issues that happened such as the catastrophic electric grid failure in India. Sustainable energy technology is advancing daily due to the increased need for renewable and sustainable energy options. These options are part of the energy and power technology but may also move into sustainable energy resources that utilize food, organic sources and other resources that have previously not been utilized. Sustainable energy technology advances daily for consumer products as well as for larger based projects that are used in communities and in the government. Energy-efficient technology is a growing technological aspect of green living. It is efficient technology works to create appliances, homes and sources that offer more energy efficiency to reduce pollution and reduce costs. Energy efficient technology covers everything from light bulbs to appliances and even as far reaching as transportation services. This type of technology advances often with higher levels of energy-efficient products. The most popular products recently have been transportation options and appliance options. These options are designed to reduce the amount of energy that is pulled from the localized and globalized power grid to avoid power grid failure and to help individuals lower energy bills and energy consumption of whole.